Aside from the scheduled release of the LTR edition of this fusion sneaker, Jordan Brand has already released a new colourway of the Jordan CMFT Air Max 10, which is arguably one of the most popular model among the fusion collection of JB. 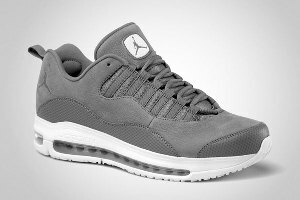 The Jordan CMFT Air Max 10 is now available in Cool Grey/Cool Grey-White colourway, which looks simple but is expected to gain a lot of attention in the market this July. If you are looking for a casual sneaker that would suit your needs, consider buying this new offering from Jordan Brand now! Jordan CMFT Max Air 12 Out Today! Jordan CMFT Air Max 10 “Candy Pack” Now Available!